Kill. Die. Repeat. Miriam, the last survivor, works her way out of the wreckage of a night of horror — and just when she thinks it can’t get any worse, she is sent back to do it all again. To Your Last Death is a time-bending horror/thriller where the characters are puppets at the mercy of all-powerful puppet masters who set up conflicts then wager on who will survive. It’s Saw meets Groundhog Day. 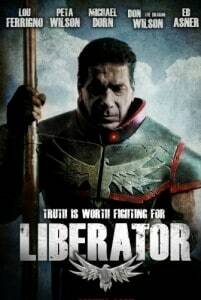 A multi-award winning short starring Lou Ferrigno as a disgraced ex-superhero desperate to get his life back on the rails. But when his tell-all book angers the wrong people he's forced to suit up one more time for the fight of his life. Also stars genre icons Peta Wilson (La Femme Nikita), Michael Dorn (Star Trek), martial arts legend Don "The Dragon" Wilson and Ed Asner (Up). A monstrous comedy with heart, Showdown demonstrates what devotion to Japanese monster movies can do to a marriage and career. 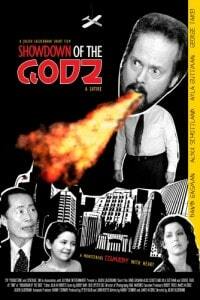 Jesse, the world's biggest monster movie fan, is challenged to a trivia showdown with the soon-to-retire archivist from a popular Japanese monster movie studio. But can Jesse keep his job and his marriage intact as he trains for the big event? It features the legendary George Takei (Star Trek).